Ayvaz offers a complete set to connect all mechanic components of solar systems to each other and the rest of the system. Ayvaz continues working for to provide high efficiency to the solar systems and to produce brand new solutions for the problems that the workers face during the installation and to reduce the labouring time and costs. Flexible metal hoses manufactured from stainless steel AISI 316L material that are used to transport the hot and cold water between solar collectors and the heating tank or the heat exchanger save on the installation time and the labouring costs accordingly. 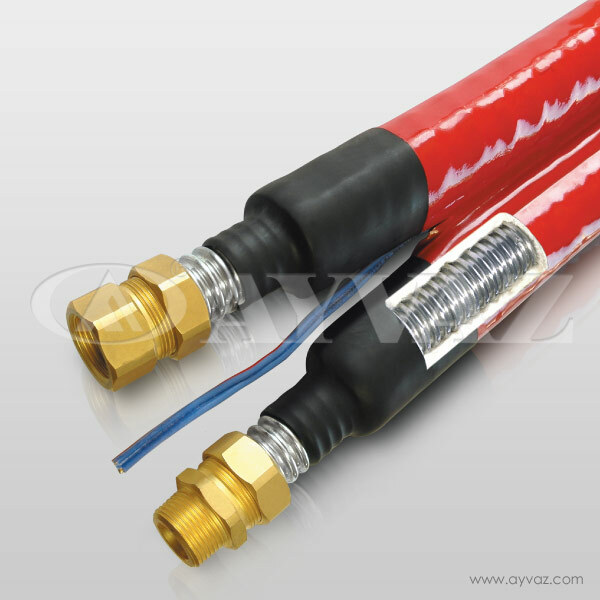 Ayvaz’ s insulated metal solar hoses make the installation easier and quicker, especially where the installation space is limited and causes difficulties for the workers such as roofs and attics. • Pyrogel XT which is derived from world’ s lightest insulation material called Aerogel with low λ value (0.02 W/mK) and is suitable for a wide temperature range, from -40°C up to +650 °C. • Low thickness of the insulation material (5mm) reduces the external diameter of the hose and provides a relief on the transportation and the logistics area up to 66 %. To learn the prices of NanoFlex Nano Insulated Hoses for Solar Panel Connections, please visit our contact page.